General objective of this article is to discuss and analysis the main Components of Bee Pollen. 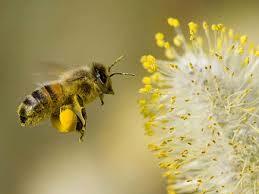 The bee pollen is among the most remarkable products from the honey bee is the actual bee pollen. It is an accumulation of pollen that has recently been gathered by worker bees they will form into granules and blended with honey or nectar. Common components are Proteins, Carbohydrates, Fatty Acids, Minerals, Thiamine (Vitamin B1), Pyridoxine (Vitamin B6), Pantothenic Acid (Vitamin B5), Retinol (Vitamin A), Tocopherol (Vitamin E) etc. The Next Hot Spot in Apparel Sourcing?